The finest quality White Whole Pepper. 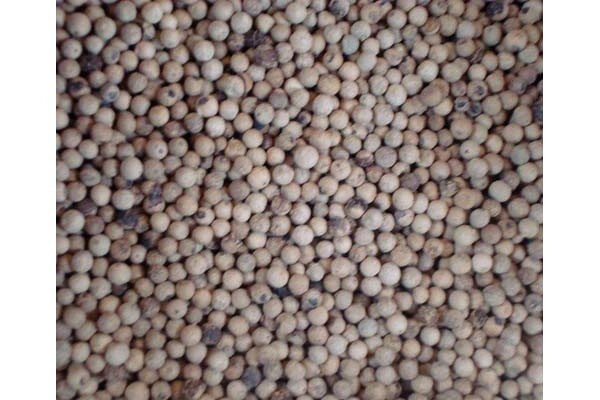 In the Western Cultures white pepper is often used in dishes like light-coloured sauces or mashed potatoes where ground black pepper would visibly stand out. There is disagreement regarding which is generally spicier. They have differing flavor due to the presence of certain compounds in the outer fruit layer of the berry that are not found in the seed.